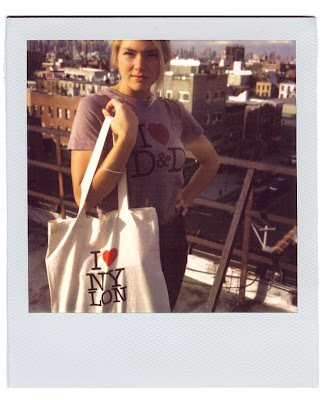 I 'heart' these t-shirts and bags from Dahl and Dane's beautiful little shop, which you can get customised with whoever (or wherever) you love. I think the NY LON version is very apt for me. I love that Joanna was carrying her 'I Heart AW bag' when her boyfriend proposed.